The Tarbosaurus (or “terrifying lizard”) is a genus of tyrannosaurid theropod dinosaurs that were lived in Asia at the end of the Late Cretaceous Period, which was about 70 to 65 million years ago. 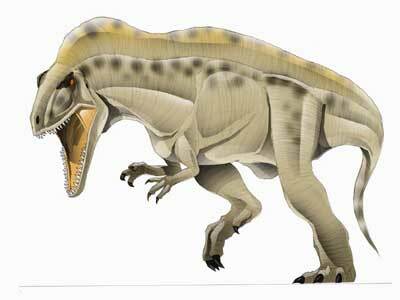 The Tarbosaurus and Tyrannosaurus are considered as very close relatives, if not possibly the same. 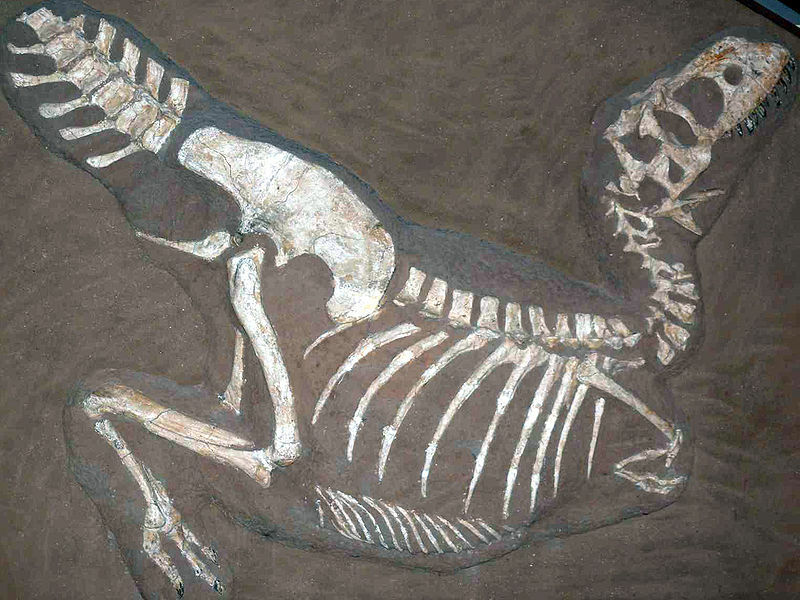 The closest relative to this dinosaur is the Alioramus from modern-day Mongolia. Fossils of the Tarbosaurus have been unearthed in Mongolia, as well as some parts of China. 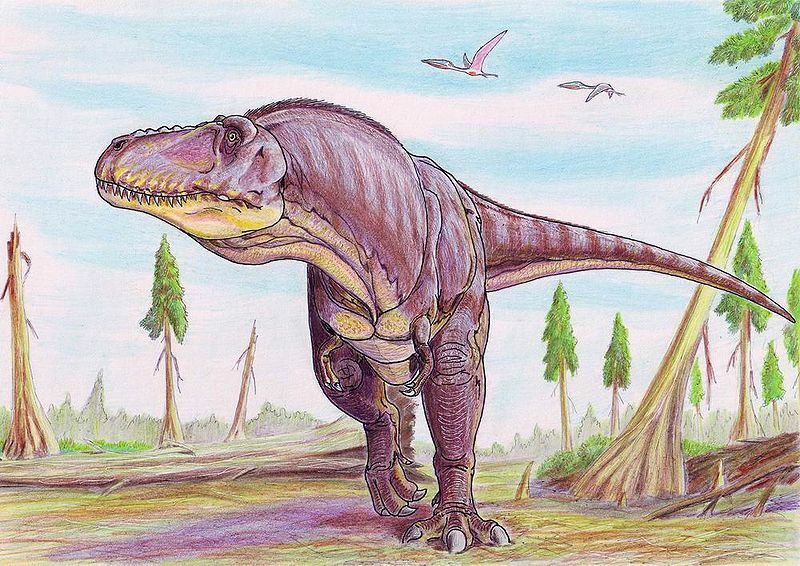 Although many species considered to be part of the Tarbosaurus have been named, modern-day Paleontologists only recognise the Tarbosaurus bataar as being a valid species. Some Paleontologists also say that this species is an Asian representative of the Tyrannosaurus from North America, which would then invalidate the Tarbosaurus genus altogether. The Tarbosaurus was smaller than the Tyrannosaurus. However, it was still one of the largest tyrannosaurids. The largest known Tarbosaurus individuals were most likely between 10 to 12 metres long, and its head was up to 5 metres above he ground. 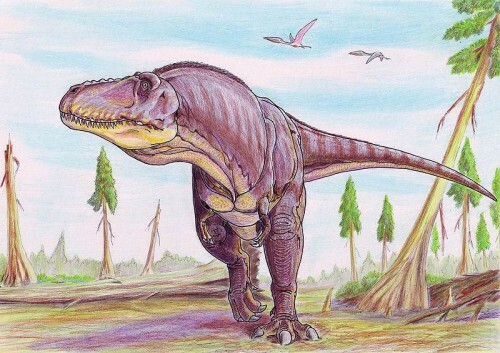 Although the total weight of an adult Tarbosaurus has never been published, it is considered either similar or slightly smaller than the Tyrannosaurus. The largest Tarbosaurus skull that was unearthed was more than 1.3 metres long. This is larger than any other tyrannosaurids except for the Tyrannosaurus. Its skull was tall, and had an unexpanded rear skull. This suggests that its eyes did not face directly forwards, and may have lacked the binocular vision that the Tyrannosaurus had. Its jaws had between 60 to 64 teeth in it, and its teeth were oval. Its habitat was a humid floodplain that was criss-crossed by river channels. It was an apex predator that was at the top of the food chain, and may have preyed on other large dinosaurs such as the Saurolophus or the Nemegtosaurus. We are very fortunate to have well-represented fossils of the Tarbosaurus. Dozens of specimens have complete skeletons and skulls. This has allowed scientific studies to focus on brain structure, skull mechanics, and phylogeny.